Dehydrated eyes are a terrible thing to deal with. About 60 percent of the human body is made of water, but the percentage is higher for the human eyeball. In fact, the human eye is made up of more than 95 percent water. With such a high concentration of water, it is important to keep our eyes hydrated. But this isn’t as easy as it sounds. There are factors that come into play that can rob our eyes of the hydration they need. Dry eye, irritation, headaches, and other conditions can occur as a result of dehydrated eyes. Keeping a consistent hydration level in our bodies is vital for maintaining the health of our tissues and organs. You probably have heard recommendations saying we should all drink eight 8-ounce glasses of water every day. This is the sufficient amount of water needed to keep our bodies functioning properly. The body disperses the fluid throughout the body and some parts, like the eyes and the brain, receive more than their fair share. Unfortunately, studies show that most Americans are chronically mildly dehydrated because they don’t meet their daily water intake. The eyes need the body to stay consistently hydrated so that tear production is not compromised. Tears are how the eyes stay lubricated and how debris, dirt, and foreign substances are washed out of the eyes. Tears, in fact, do even more than hydrate the eyeball. Each time you blink, your eyelid spreads a thin layer of tear fluid evenly across your eyeball. The tears provide moisture to keep the eyeball from becoming dry, but they also carry oxygen and nutrients to the eyes. 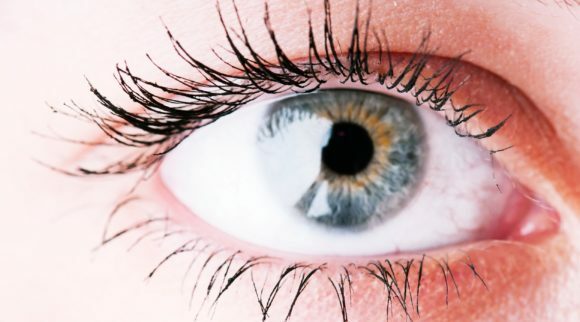 The surface of the eyeball (the cornea) does not contain blood vessels, so the only way for oxygen and nutrients to travel to the eye is through tears. Tears also contain an antibacterial substance, known as lysozyme, that serves as a line of defense again bacteria and microbes. In addition, tears have healing properties so that injuries or infections of the eye are healed more quickly. Lastly, tears help with vision. By providing a smooth, moist surface on the eyeball, incoming light is properly refracted so our vision is clearer. Without adequate tear production, due to dehydrated eyes, eyesight is compromised. Although we may think that all tears are created equal, there are actually two layers of tears, the lipid layer and the aqueous layer. The glands on the edges of the eyelids, the meibomian glands, are responsible for producing the lipid layer. The lipid layer helps maintain your tear stability by preventing your tears from evaporating too quickly. Age and obstructed glands can lead to a condition known as meibomian gland dysfunction in which the gland production decreases. The majority of tears, about 95%, are aqueous layer tears. Aqueous layer tears originate from the lacrimal gland, located under the upper eyelid. It is the task of the aqueous layer to supply the cornea with antibacterial components, oxygen, and healing nutrients. Dehydration in your whole body is just one of the causes of lack of hydration in the eyes. Other factors could impact the moisture level of the eyeballs. Age, medication, medical conditions, and more can cause dehydrated eyes. 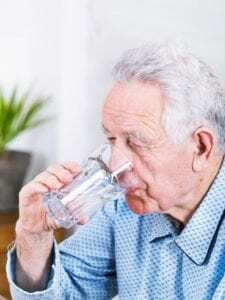 A side effect of the natural aging process is a decline in hydration levels in the body. This is especially problematic in the eyes. As we get older, our glands begin to lose their ability to produce tears. Age-related dry eye is more prevalent in post-menopausal women. Some prescription and over-the-counter medications can cause tear production to slow down. 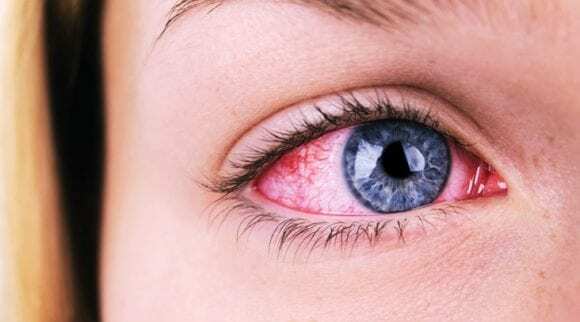 Decongestants and antihistamines are among the worst culprits for dehydrated eyes. 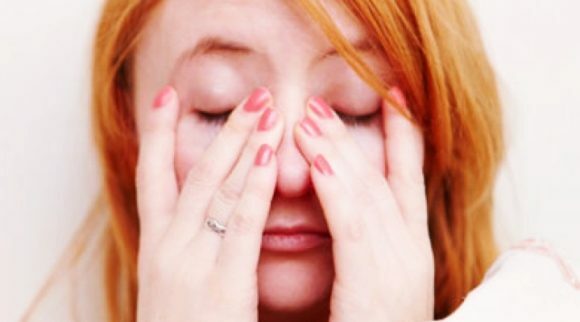 Some medical disorders include eye dryness as a symptom. Rheumatoid arthritis, for example, can deplete the moisture content of the eyes. Sjogren’s syndrome is notorious for causing eye dryness, as are collagen vascular diseases. Living in an area with a dry climate, like a desert region, will make your eyes more prone to dryness. The air in some houses lacks moisture, leading to dryness in the eyes. Dry air is often the result of the heat source in the home. Heating with wood can make the air in the house very dry if a humidifier is not used. Allergens and irritants in our environment can also cause problems with dehydrated eyes. These allergens can come in the form of pet dander, dust, chemicals, and pollen. 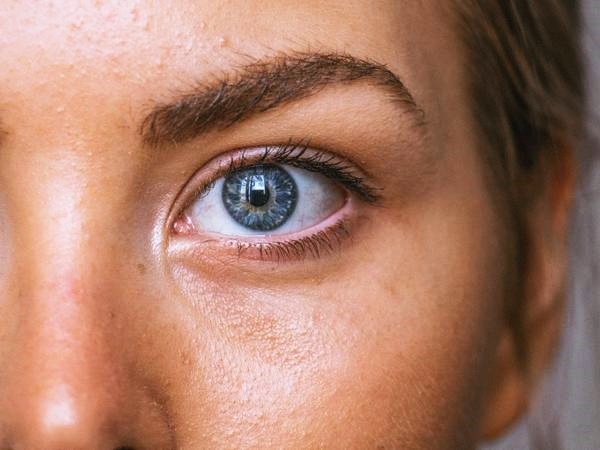 Whether the lack of hydration in your eyes is a chronic condition or a temporary one, there are things that you can do to relieve the dryness and increase hydration to your eyes. Simple lifestyle changes are often the best place to start. Keep your body hydrated. That means drinking at least eight 8-ounce glasses of water every day. However, every body is different so we actually recommend drinking half your body weight in ounces of water per day, so if you weigh 150 pounds, you should be drinking 75 ounces. Remember that all liquids are not the same as water. Sodas contain a high amount of sodium and sugar that actually robs your body of hydration. Get into the habit of carrying a reusable water bottle with you or having one at your desk while you work, so you can sip on water throughout the day. 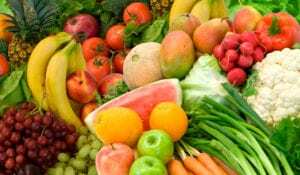 A diet that is low in sodium and high in fresh fruits and vegetables is beneficial for eye health. Many fruits and vegetables, especially those high in beta carotene, have nutrients that are helpful to maintaining eye hydration. Over-processed foods that contain a lot of sodium will counteract your efforts to keep your eyes hydrated. Stay clear of known allergens. As tough as it can be sometimes, always try to avoid coming in contact with substances that you know will cause an allergic reaction. Dog dander, pollen, and dust can all lead to irritation and inflammation of the eyes. 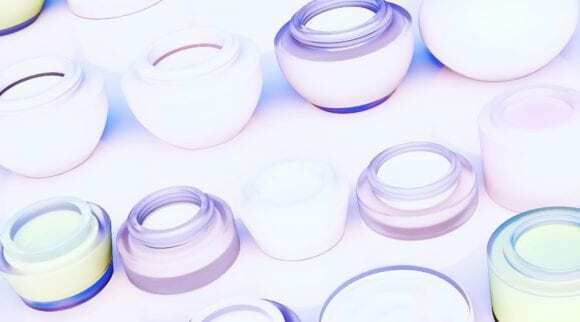 Wearing contact lenses can dry out your eyes. Many people fall into the habit of keeping their contact lenses in their eyes for too long…and even sleeping in them. 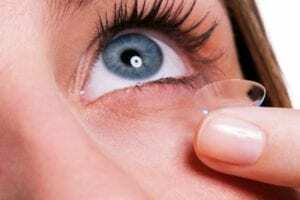 Even if your contacts claim to be breathable, you should remove them often to give your eyes a break, and contact lenses should always be removed at night while sleeping. Artificial tear drops provide moisture to your eyes when your eyes aren’t making enough tears on their own. 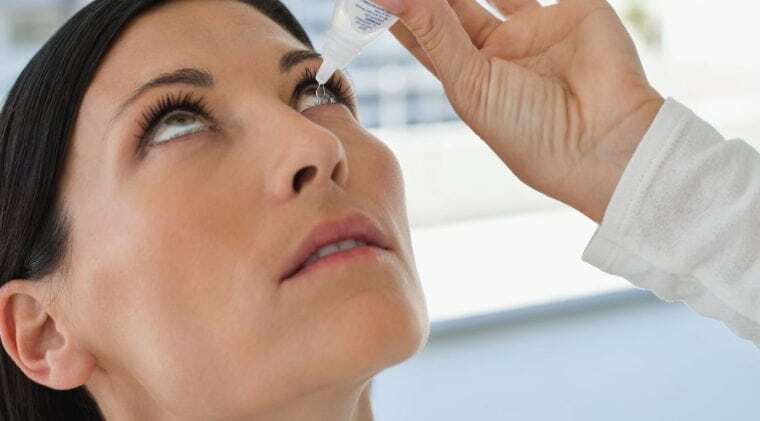 Some eye drops can be medicated to relieve itchiness and redness, too. Our modern life is hard on our eyes. Staring at a computer screen all day or doing detailed work all puts a strain on our eyes. You can reduce eye strain by getting in the habit of stepping away from the computer at least once per hour and focus your eyes on objects at a further distance than the computer screen. Also, wearing a pair of blue light blocking glasses can help decrease eyestrain on digital devices. Your tear ducts are responsible for keeping your eyes lubricated so making sure that your tear ducts remain healthy and functional is important. Dirt, debris, or infection can clog your tear ducts and eyelid glands. Cleaning your eyes with a gentle cleaning wipe or spray and removing the crusty residue will help to keep the tear ducts in good working order. 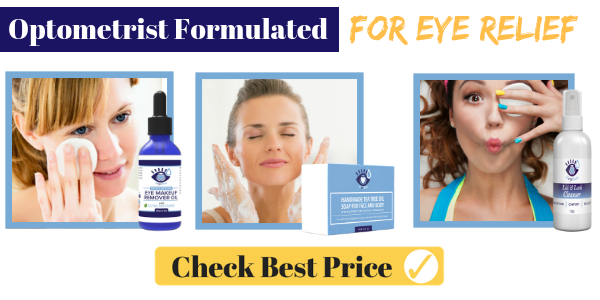 If lifestyle changes don’t increase the hydration of your eyes, there are, fortunately, a number of over-the-counter products on the market that are effective at lubricating the eye, adding moisture, and encouraging the body to produce more of its own tears. Eye Love’s Heyedrate Lid & Lash Cleanser is effective at reducing microorganisms that can cause dryness and inflammation. This cleanser can also relieve the burning and itching that accompanies various eye conditions, such as gland dysfunction and blepharitis. The Heyedrate Lid & Lash Cleanser is simple to use. You simply spray the product on the eyelids. You can gently wipe them dry with a cotton ball or just let them air dry. The Eye Love company is committed to eye health. They donate a portion of their sales profits to people who are in need of eye care but can’t afford it. Dr. Fischer Premium Eyelid Wipes are a gentle way to clean the eyelids, eyelashes, and the area surrounding the eyes. The wipes remove dirt, dust, oils, crusty residue, and make-up to prevent the clogging of the tiny glands that produce lubricating tears that hydrate the eyes. 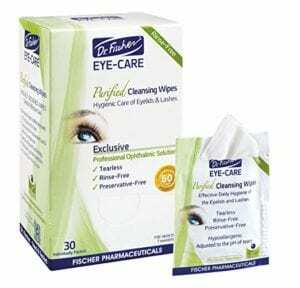 In fact, you can use Dr. Fischer Eyelid Wipes on a daily basis without irritating the sensitive skin of the eyelids. 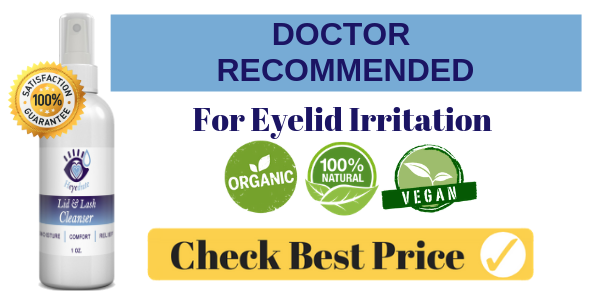 Using these eyelid wipes to reduce the spread of infections, such as conjunctivitis and blepharitis, also keeps the pours and glands clear and open so the natural healing process can take place. Because the wipes are free of alcohol, they will not dry the skin or cause dehydrated eyes. Instead, they will help to lock in hydration in the delicate skin surrounding the eyes. 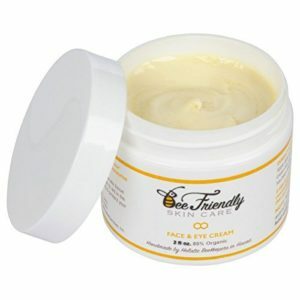 Like four creams in one, the Bee Friendly Face and Eye Cream can be used on the eyelids, neck, face, and décolleté. The all-natural ingredients are super hydrating and safe for delicate, sensitive skin. Not only does it hydrate the area, but it also reduces fine lines and wrinkles so skin looks healthy, hydrated, and radiant. The combination of ingredients has a proven history of bringing healing nutrients to the skin and prevents dehydrated eyes. 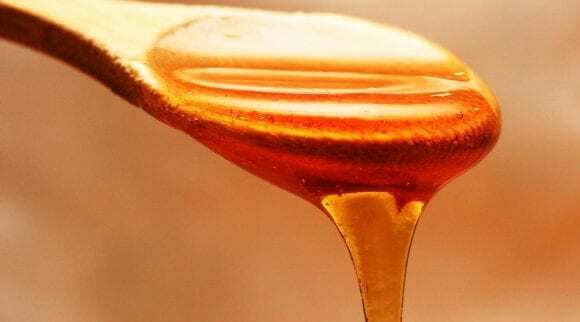 The olive oil, for example, contains vitamins A and E and the honey has antibiotic properties. The Bee Friendly Face and Eye Cream absorbs quickly into the skin and fights off free radicals that speed up the aging process. 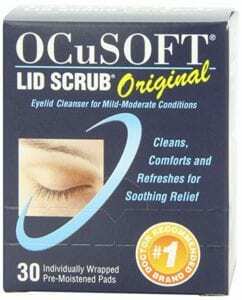 For help in keeping your eyelids clean and prevent dirt and contaminants from getting it your eyes or clogging glands, the OCuSOFT Original Lid Scrub pads are easy to use and convenient so you can add them to your daily hygiene routine. The refreshing and soothing pre-moistened pads relieve itching and provide hydration to dehydrated eyes and eyelids. 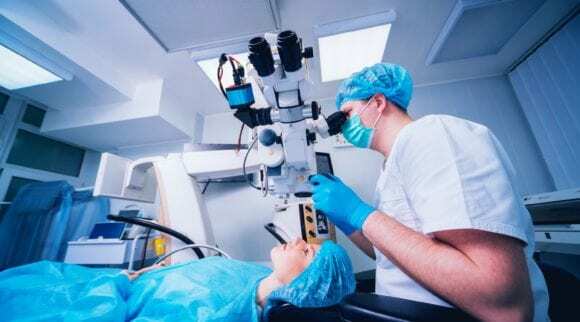 The OCuSOFT company has been in business since 1986 and has built a reputation for offering clinically-proven products that demonstrate the company’s commitment to eye health. 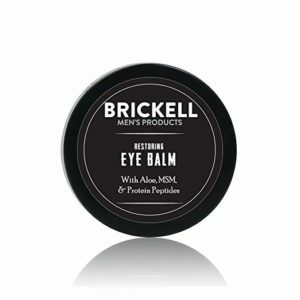 Brickell Men’s Restoring Eye Cream is light and absorbent and doesn’t leave a greasy film on the skin. It is an effective way to keep the eyelids and under eye area hydrated so it hides bags, dark circles, and wrinkles. Dehydrated eyes are rejuvenated and hydrated from this cream. Brickell Men’s Products is a worldwide company that has been featured in many prominent men’s magazines, including GQ, Men’s Journal, and Men’s Health Magazine. Brickell Men’s Products is one of the fastest growing companies in the men’s grooming industry. 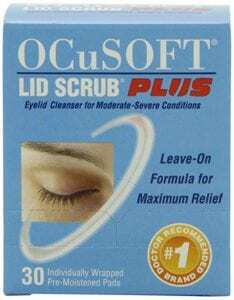 OCuSOFT Lid Scrub Plus is an extra strength formula that provides maximum relieve for dry, itchy, and dehydrated eyes caused by allergens such as pet dander, ragweed, grass, and pollen. By removing potential allergens, the tear ducts and oil glands are less likely to become clogged and ineffective. If the tear ducts are clear and functioning properly, the eyes remain hydrated. Because this formula is stronger than OCuSOFT’s original formula, it is great for relieving infections and other eyelid conditions. The leave-on formula is gentle enough that you can use this product as part of your daily eye care routine. We Love Eyes cleansing oil removes excess oils, bacteria, debris, infection, and make-up residue from the eyelids and the area surrounding the eye. The dirt and debris may be blocking your tear ducts, preventing the tears from hydrating your eyes. 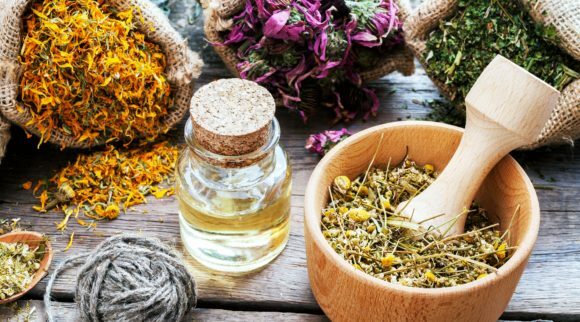 The formula of all-natural ingredients was developed by an optometrist as a chemical-free alternative to harsh, drying eye cleansing products. Just few drops of the cleansing oil on a cotton ball is all you need to gently and thoroughly clean the eyelid and the tiny glands around the eyelashes. The cleansing oil can be used every night to keep your eyes in good condition and prevent dehydrated eyes. 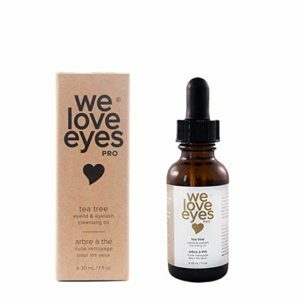 The We Love Eyes cleansing oil does not contain gluten, paraben, fragrances, preservatives, dyes, or formaldehyde. All of the ingredients are plant-based and vegan.